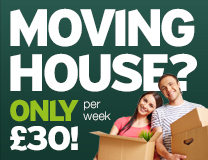 Loc-Box Self Storage | Our self storage sites are in Corby and Northampton for Household and Business use. Our self storage sites are in Corby, Daventry, Kettering, Market Harborough, Newark and Northampton for Household and Business use. All our Loc-Box storage units will provide you with plenty of space to store all of your other home contents or business surplus. Long or short term, we provide you with just what you need – top quality, secure storage space at an excellent price. All our Loc-Box self storage units will provide you with plenty of space to store furniture, and all your other home contents. 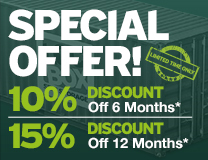 Long or short term, we provide you with just what you need – top quality, secure storage space at an excellent price. Your own individual storage unit which you are free to come and go as you please. 150sqft (13.75sqm) of secure, dry, clean useable space. Flexibility to store for as long or as short a period as you require. 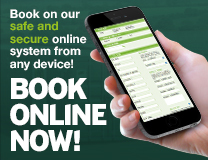 Fully secure and insured sites. A storage unit you can drive right up to the door of. All of our Loc-Boxes are brand new modified 20ft shipping containers. Each box is made of solid steel with a smooth wooden floor inside. They all come complete with a high grade padlock. Every unit is fully watertight (apparently the float!) and benefits from several vents to allow them to breath. All our Loc-Boxes are suitable for long term furniture and household storage. Only pay for the days you use it for.